What do you think? Which season two episodes of The Sinner TV series do you rate as wonderful, terrible, or somewhere between? Should USA cancel or renew The Sinner for a third season? Don’t forget to vote, and share your thoughts, below. 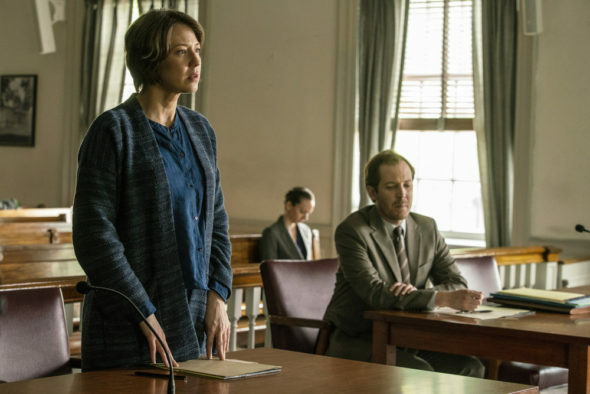 More about: The Sinner, The Sinner: canceled or renewed? Great show! Very disappointed that the show is not in tonight..why would the network stop this show before the storyline ends. I loved season 1 and couldn’t wait for season 2. It was just as good!!!! Hope that there is a season 3.!!!!! I love this show. It has many twists and turns and one of the best mystery shows on TV. Pleas bring it back for Season 3. There are so few shows with such good acting and story lines. The first episode was spell binding and looks to be a winner for sure. Love this show. I hope it has many seasons to go. Season one was a mystery,and really grear season two was just blinding and very unexpected but very interesting. Good mystery I really love this show and I hope we have many more seasons to go cause it is a winner.